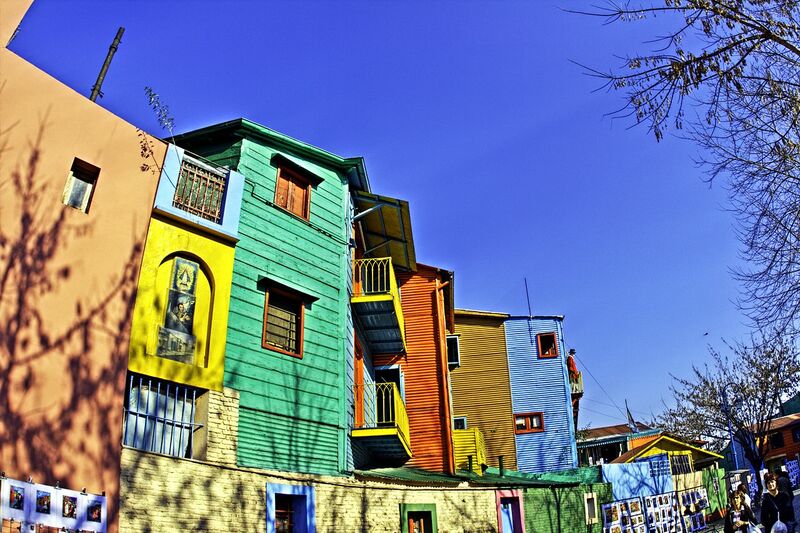 Buenos Aires (/ˌbweɪnəs ˈɛəriːz/ or /-ˈaɪrɪs/; Spanish pronunciation: [ˈbwenos ˈai̯ɾes]) is the capital and most populous city of Argentina. The city is located on the western shore of the estuary of the Río de la Plata, on the South American continent’s southeastern coast. “Buenos aires” can be translated as “fair winds” or “good airs”, but the first one was the meaning intended by the founders in the 16th century, by the use of the original name “Real de Nuestra Señora Santa María del Buen Ayre”. The Greater Buenos Aires conurbation, which also includes several Buenos Aires Province districts, constitutes the fourth-most populous metropolitan area in the Americas, with a population of around 17 million. The city of Buenos Aires is neither part of Buenos Aires Province nor the Province’s capital; rather, it is an autonomous district. In 1880, after decades of political infighting, Buenos Aires was federalized and removed from Buenos Aires Province. The city limits were enlarged to include the towns of Belgrano and Flores; both are now neighborhoods of the city. The 1994 constitutional amendment granted the city autonomy, hence its formal name: Ciudad Autónoma de Buenos Aires (Autonomous City of Buenos Aires). Its citizens first elected a chief of government (i.e. mayor) in 1996; previously, the mayor was directly appointed by the President of the Republic. Buenos Aires is considered an ‘alpha city’ by the study GaWC5. Buenos Aires’ quality of life was ranked 81st in the world and one of the best in Latin America in 2012, with its per capita income among the three highest in the region. It is the most visited city in South America, and the second-most visited city of Latin America (behind Mexico City).